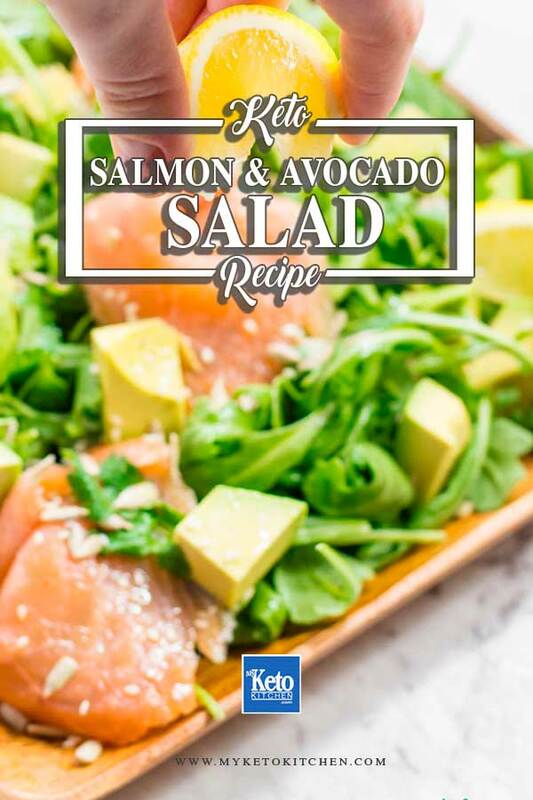 Our Smoked Salmon, Avocado & Rocket Keto Salad is loaded with Omega 3 Fatty Acids and is easy make in under 10 minutes. This easy, refreshing salad is the perfect light meal for those hot days when eating is the last thing on your mind. 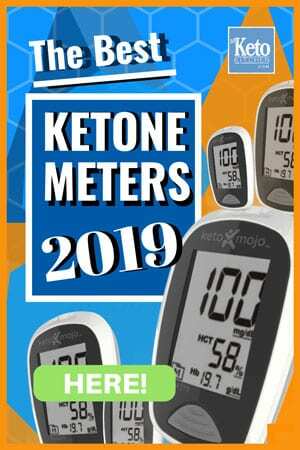 This high fiber and high fat keto salad that will keep you full and fueled for hours due to the healthy salmon and avocado. We’ve enjoyed our Simple Low Carb Salad, Avocado Egg Salad Wraps and Chicken Salad Wraps, all whilst sitting in front of a high powered fan! Read about the carbs in avocado and nutritional benefits here. This keto salad recipe makes 2 generous serves. Salmon, avocado & rocket salad recipe. Dice the avocado and place into a mixing bowl. Add the rocket, cilantro, salt and pepper and gently toss. Drizzle over the olive oil and lemon juice and gently toss. Place into a serving dish and top with the smoked salmon. Sprinkle over the sesame seeds and sunflower seeds. Serve and enjoy. 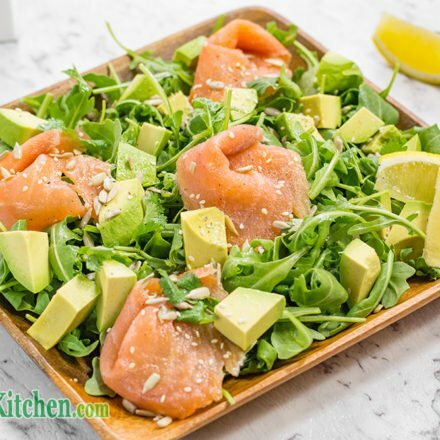 Keto Salad - Salmon & Avocado - Healthy Fats & Leafy Greens! Our Smoked Salmon, Avocado & Rocket Salad is loaded with Omega 3 Fatty Acids and is easy enough to throw together in under 10 minutes. Place into a serving bowl and top with the smoked salmon. 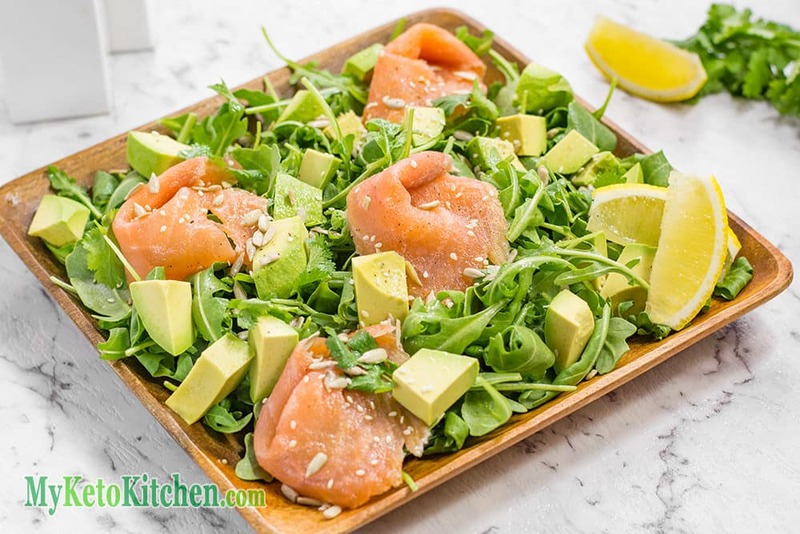 If you want to make a larger batch of this Smoked Salmon, Avocado & Rocket Keto Salad recipe adjust the servings above.